Grange Cove is an exclusive development of 16 holiday homes located just a 15 minute stroll from the Blue Flag beach at Rosslare Strand & its many pubs & restaurants. 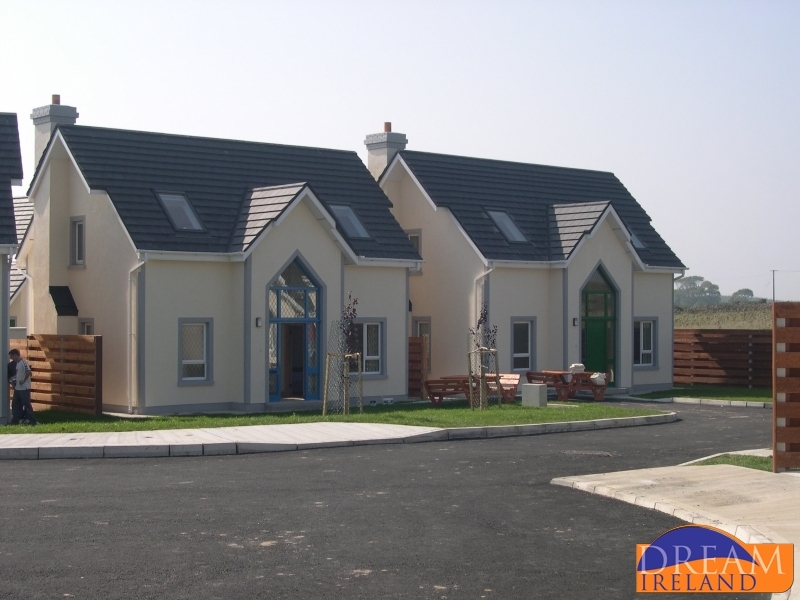 Each spacious house is fully detached and is located on its own private site with an enclosed garden. 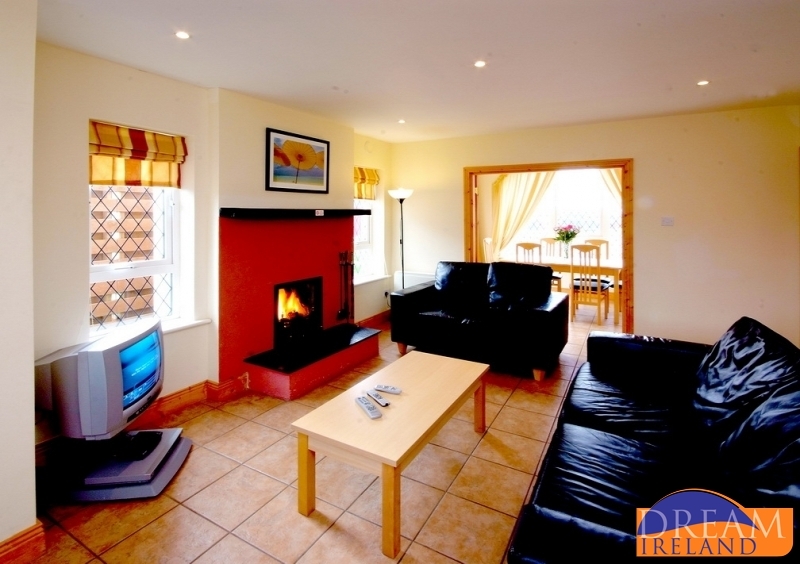 This is an ideal location for families to get away from the hustle and bustle of city life. Pets are not allowed in this location, with the exception of guide dogs which are welcome. All houses have wifi access. Number 5 is a "Mezzanine Style" holiday home and is fully furnished to the highest standards using contemporary furnishings and finishes. An open glass entrance hall extends to the first floor, this feature providing excellent natural light to the first floor and entrance hall. The open plan ground floor living area with access to kitchen/dining room gives this house a spacious and bright ambience. The ground floor is complete with a bedroom and bathroom. A timber staircase leads to the first floor, which comprises two bedrooms. 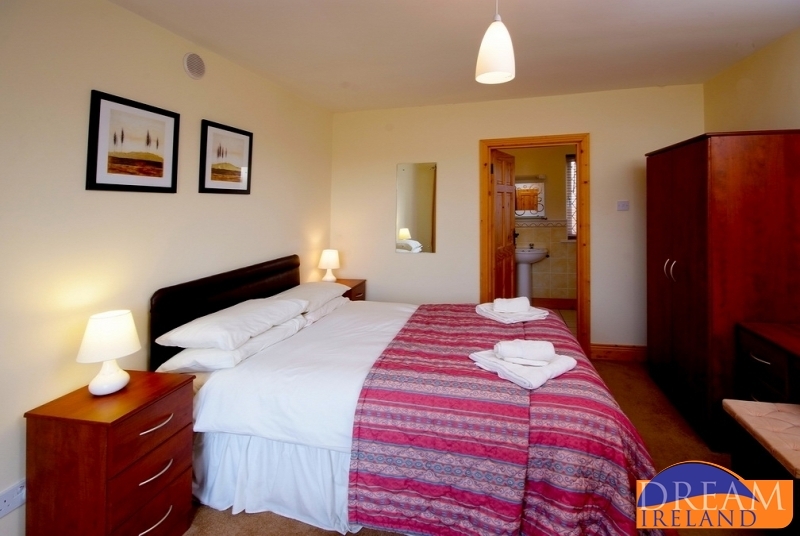 The master bedroom boasts an en-suite and walk in wardrobe. The sunny open plan gallery, which overlooks the main entrance hall is an added feature to this property. Number 5 is a wheelchair accessible house with a single bedroom downstairs with a wheelchair adapted bathroom. There is a double and twin bedroom upstairs. This house can accommodate up to 5 people. Cots/Highchairs are charged at €25.00 per week and €15 for a weekend subject to availability. Cots & highchairs can be pre-booked with Dream Ireland- Cot and Highchair is an extra charge 25.00E for a week in total, 15.00E for a weekend in total. Babysitting- can be arranged locally. The site managers have contact information on local babysitters & parents can make arrangements with the babysitter directly. 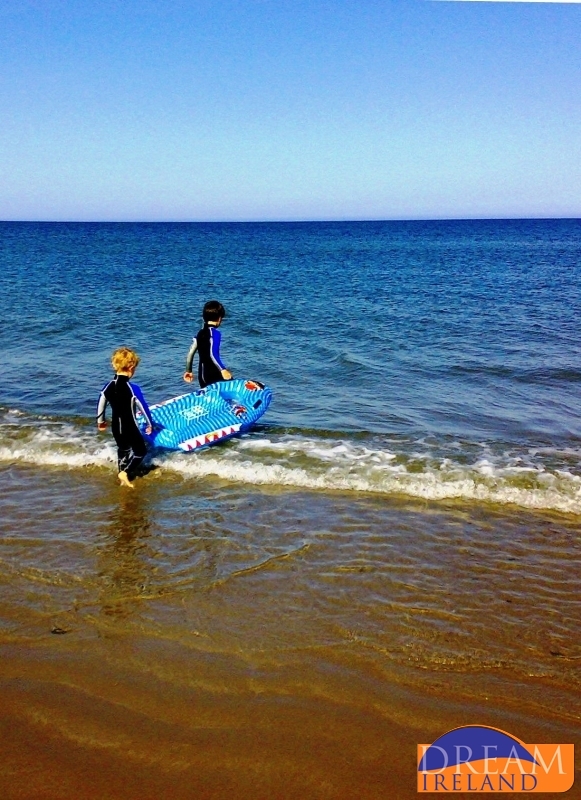 The sandy Rosslare Strand beach is just a 15-20 minute stroll from Grange Cove or is less than 5 minutes by car. 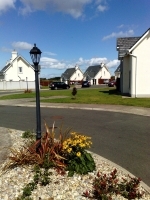 Wexford’s racecourse and boat & tennis club are on the outskirts of the town while Rosslare Strand is also a popular accommodation venue for patrons of Wexford Opera Festival, held every October. Rosslare Golf Club provides an excellent test of golf on a championship golf links course beside the Irish Sea. Fairways, tees and greens are watered, giving an enjoyable playing surface in both summer and winter. Rosslare also has a 12 Hole course nearby. St. Helen’s Bay is an 18 hole championship course, located on the coastline and overlooking Tuskar Lighthouse,. It is designed by Philip Walton & takes full advantage of the onshore winds and gently sloping rural land, totally at one with nature. St. Helen’s also has 9 hole course nearby. Wexford Golf Club this Parkland Course with many mature trees is located in Wexford Town. The course has beautiful views of County Wexford including the Saltee Islands, Blackstairs Mountain Range and Wexford Harbour. Course recently redesigned. Fishing in Wexford is a pure joy. 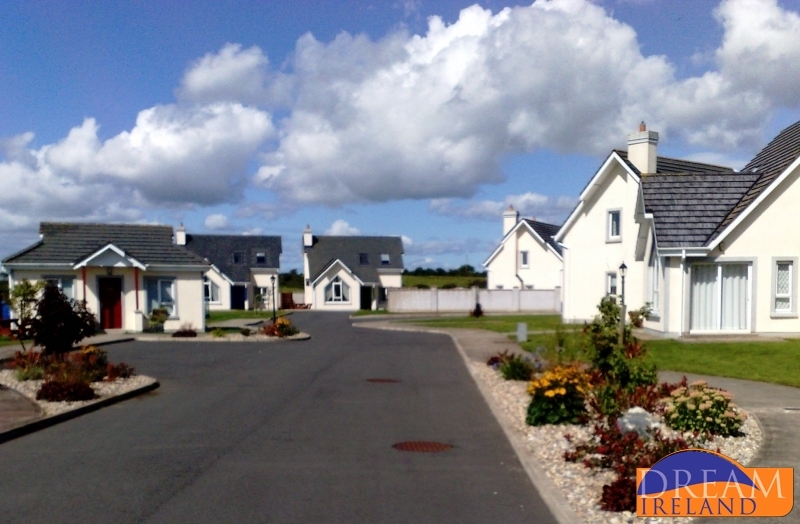 Rosslare is a haven for all fishing enthusiastic from shore angling to sea angling, there is something to suit all. The clean seas, sparkling rivers and wave-lashed deserted beaches and coves of the South East give rise to some of Ireland’s best tasting fish - Bass, sea-trout and salmon are among the county’s native species, while the mighty pike has challenged even the most experienced fisherman. With horse riding being such a popular leisure activity for people in County Wexford, it is no wonder that there is such a selection of excellent equestrian centres to choose from. As well as leisure riding and beach treks, visitors can avail of quality-approved instruction for riders of all standards..
Loisin Riding Centre, Kilrane, Rosslare Harbour- This centre is located approx. 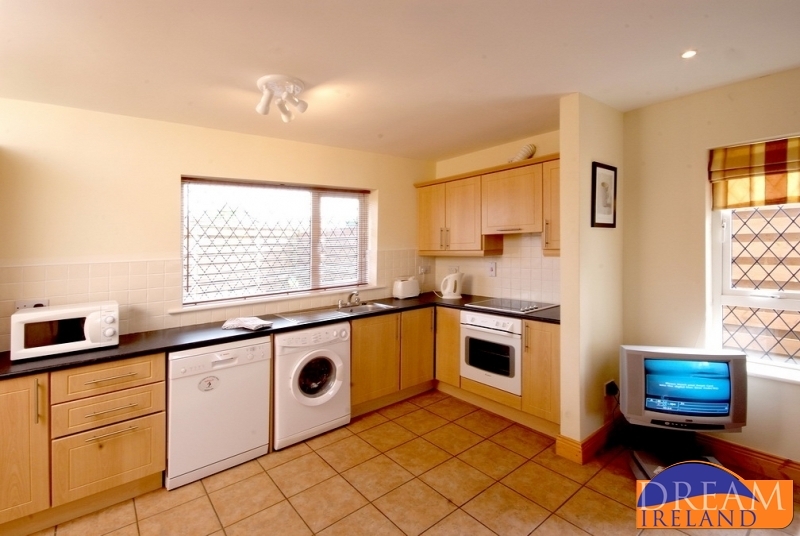 10mins from Grange Cove & caters for all levels & abilities. Beach rides also available & lessons too..Childrens camps run in high season. Curracloe House Equestrian Centre -Open all year-Facilities include indoor school and two outdoor manege. By the sea - superb beach rides. Children's non-residential camps. All levels of instruction, schooling and liveries. Glenmoor Riding School in beautiful Fethard-On-Sea, Co. Wexford. A perfect way to take in the scenery from horseback. Aqua Club at Kelly's Resort Hotel, Rosslare Strand, Co. Wexford - is open to non-residents, the Aqua Club has 2 swimming pools, Jacuzzi, steam room, sauna, sun bed, aromatherapy, beauty treatment, plunge pool and an outdoor Canadian hot tub. Rosslare Sports and Recreation Centre:soccer pitch, tennis courts, crazy golf, children's play area, (swings, slides, trampoline). Summer camp available. Indoor: video games, pool, tennis table, jukebox, basketball, badminton and indoor soccer. Leisuremax is located next to the Drinagh roundabout on the Wexford road. It's a real godsend for the kids on a rainy day! Omniplex Cinema This new multiscreen is also located close to the Drinagh Roundabout, on the road to Wexford Town. Details of the movies can be found in the local press & online..
Forest Park Swimming & Leisure Centre features a water slide and water playground for the kids. With a 25m pool, sauna, steam room and Jacuzzi for the adults. Advance bookings advised.. Exciting, challenging all weather cross country driving thrill for all ages (from 6 years upwards) on all terrain vehicles (A.T.V. 's/Quad Bikes). Bike size and course choice will depend upon age/experience and group size. Rates will vary accordingly. Wexford offers many exciting and varied routes for walkers and cyclists to discover. Meandering and undulating routes link towns, villages, historical sites, country pubs and accommodation, coastal paths and hill climbs. Stretching over 200km/125 miles, coastal walks are plentiful in Wexford. They can include shore walks or tracks along our reclaimed slob-lands. For the more up-hill enthusiast, Mount Leinster and the Black Stairs are an enjoyable day's hiking or biking. Starting from Kildavin near Bunclody, forest tracks offer easy access. Mount Leinster is the highest point and is a favourite spot for hang-gliders when conditions prevail. The South East Coastal Drive is a new sign posted route stretching from Wexford Town through Kilmore Quay, Carrig-an-Bannow, Fethard, Hook and Ballyhack ending at Ardmore in County Waterford. Watersports activity centres offering canoeing and windsurfing are available, while sailing enthusiasts are catered for by the Blue Flag Marina at Kilmore Quay and Wexford Harbour Boat and Tennis Club. The Boat Club has junior and adult sailing classes in the summer. Within the Kilmore Quay and Hook areas there are some of the most spectacular and varied diving in Ireland. With excellent visibility the diver can explore wrecks from 6 to 60 meters, study marine life on Coningbeg Rocks and the Brandies or watch seals, dolphins and diving birds around the Saltee Islands. Shore diving around Hook Peninsula, which is a favourite among Irish divers, boasts wrecks and deep open gullies full of marine life. 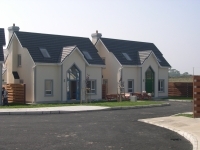 Centres are available in Kilmore Quay, Hook, and Wexford Town. Irish National Heritage Park - about 10 mins drive from Rosslare, a visit to this authentic recreation of Ireland's heritage is highly recommended. Our Lady’s Island, Carne, Co Wexford: A national place of pilgrimage. The gardens of Johnstown Castle contain a wide range of trees and shrubs. Picnic area. The museum depicts Irish Agricultural and rural life. Saltee Islands: Off Kilmore Quay, home to Ireland's largest bird sanctuary & just a short boat trip from the nearby village of Kilmore Quay. Here you can see birds incl gannets, gulls, puffins & cormorants in their natural habitat. Don't forget that while in Kilmore Quay you can buy fresh fish directly off the boats! Wexford Wildfowl Reserve, North Slob, Wexford. Ireland’s premier wildfowl reserve, covers 550 acres and is located at the western end of the 2.400 acres of ‘polder land’ claimed from the sea in 1847. Internationally famous for the wintering flock of 8,000 Greenland White-fronted Geese and the wintering flocks of Brent Geese and Wigeon. Facilities include disabled friendly Visitor Centre and a number of Bird Hides. Wexford is the main town in County Wexford. Noted for its medieval walls and narrow streets. It was a centre for the 1798 rebellion. Guided walking tours available. Hook Head, Fethard on Sea, Co Wexford. WeOne of the oldest operational lighthouses in the world. Discover the medieval tower of Hook. Wild and scenic , enjoy the facilities in the former keeper’s house which includes café and craft shop. A full scale reproduction of a 19th century famine ship (three-masted Barque built in Quebec in 1845). Board the Dunbrody and walk in the footsteps of famine emigrants on their journey of hope across the Atlantic Ocean. Tourist Information. Gift Shop. Dunganstown, New Ross, Co Wexford. Birthplace of the late John F. Kennedy’s great-grandfather. An audio- visual presentation and guided tour takes the visitor through the family history and historical setting of the Kennedy legacy.